Among the events at this year’s Hawai‘i Food & Wine Festival, the one that’s triggered my personal radar unfolds on Maui, with Hollywood agent and longtime Wailea resident Shep Gordon as a special honoree. What’s intriguing is that it’s a new, wildcard gathering. The Sept. 6 dinner at the Hyatt Regency Maui pays tribute to someone with deep connections to rock stars, A-list actors and culinary legends. As such, there’s a good chance famous faces will show. But even if they don’t, there are more compelling reasons to attend. First, the six-course meal created by six of Gordon’s chef friends promises to be a memorable eating affair. Renowned culinary powerhouses are converging in Kaanapali, including Dean Fearing, Robert Del Grande and Nancy Silverton, the 2014 James Beard Outstanding Chef. Joining them are Iron Chef Mark Tarbell, Gregory Grohowski and Celestino Drago, who owns an empire of top Italian restaurants in Los Angeles. Their mission: Prepare a meal worthy of the evening’s beloved host — a man well known for his entertainment connections, but who also has deeper ties to Hawaii’s food scene than most people realize. 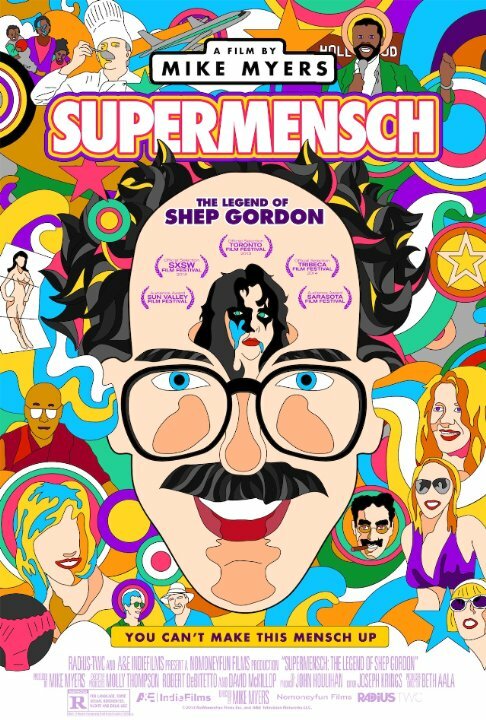 With the release of Mike Myers’ documentary, “Supermensch The Legend of Shep Gordon,” Gordon’s legacy as uber manager to the stars became widely acknowledged. Over the years, he’s represented Alice Cooper, Pink Floyd, Blondie, Ann Murray. Luther Vandross and Teddy Pendergrass. He also transformed chefs into celebrities, including Mr. “Bam!” himself, Emeril Lagasse, Wolfgang Puck and French chef Roger Vergé. 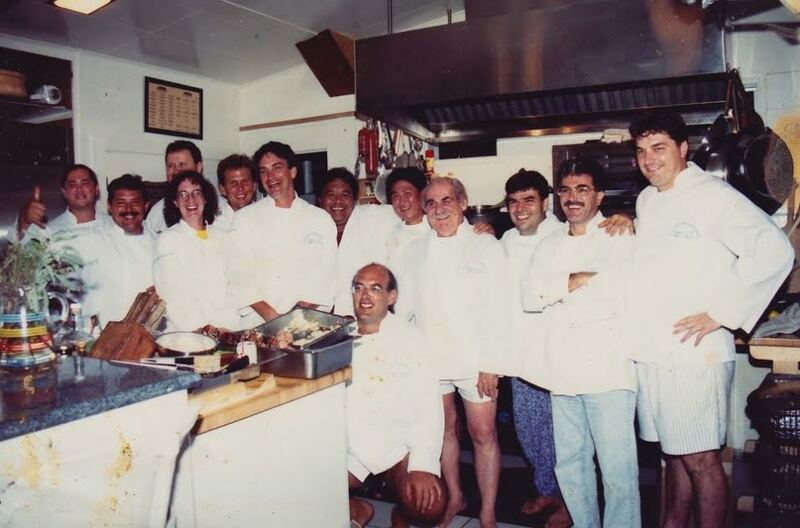 But what many in Hawaii may not realize is Gordon’s pivotal, behind-the-scenes role in shaping our dining scene and helping local chefs and our unique fusion cuisine flourish well beyond the islands. He was the equivalent of a culinary conductor, orchestrating chefs from below the stage. Gordon’s influence in Hawaii took hold in 1974, when he relocated to an oceanfront property in Wailea to escape the Hollywood grind. An ardent foodie, he befriended several local chefs, who gravitated to his home to eat meals, talk shop and get career advice. 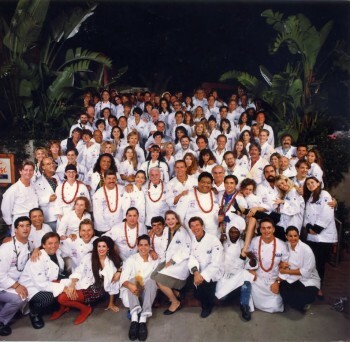 Having propelled chefs like Lagasse into TV stardom, Gordon had the wherewithal to help local chefs achieve wider recognition, and he encouraged them to come together to promote their distinctive cuisine, which blended Asian, European and Pacific influences and relied on fresh, locally grown ingredients. About a dozen chefs were part of this early ‘90s movement, called Hawaii Regional Cuisine, including Sam Choy, Beverly Gannon, Roy Yamaguchi, Alan Wong, Peter Merriman, Roger Dikon and George Mavrothalassitis. Although Gordon says he intentionally remained more of a backstage player, he’s now comfortable talking about his involvement not just with Hawaii Regional Cuisine, but also as co-owner (with chef Mark Ellman) of two restaurants at Wailea Beach Marriott— Mala and Migrant, where “Top Chef” Sheldon Simeon creates modern twists of local, Filipino dishes he grew up on. Before delving into this story, I was curious why the Hawai‘i Food & Wine Festival added a special dinner in Gordon’s honor. But now it’s clear this celebration may actually be overdue. Regardless, I’m excited to see what happens. 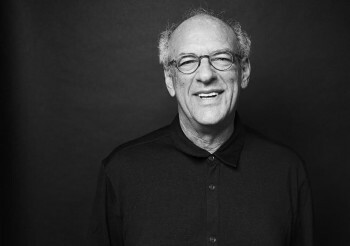 For more information about the event, Hawaiian Airlines Presents Legend of Shep Gordon, visit hawaiifoodandwinefestival.com Tickets: $250 general admission. $500 VIP.